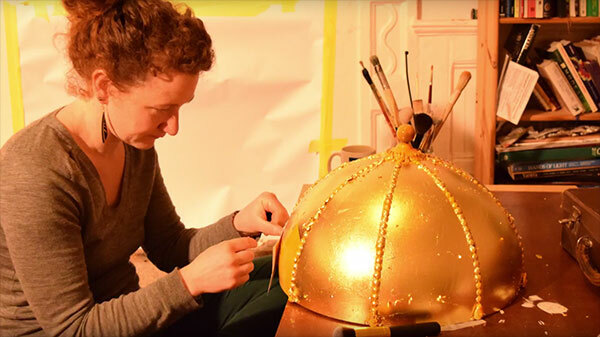 We rarely get the chance to view the fascinating process of gilding but thanks to Rachael Linton of Sound Vision Studio we get a chance to view a time-lapse of the incredible work and effort she puts into every gilded project. The project this time is a beautiful Hindu Temple that Rachael has hand-decorated with pastiglia and plaster cast ornamentation before finishing the entire surface using traditional oil and water-gilding techniques. The result is a glorious, incorruptible mirror finish.